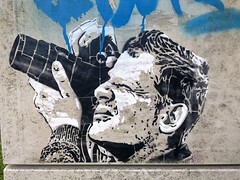 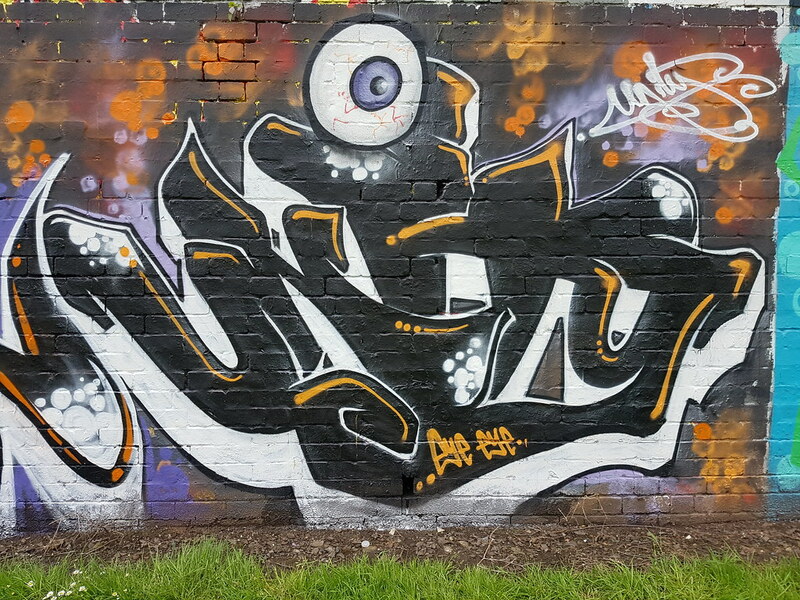 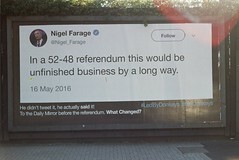 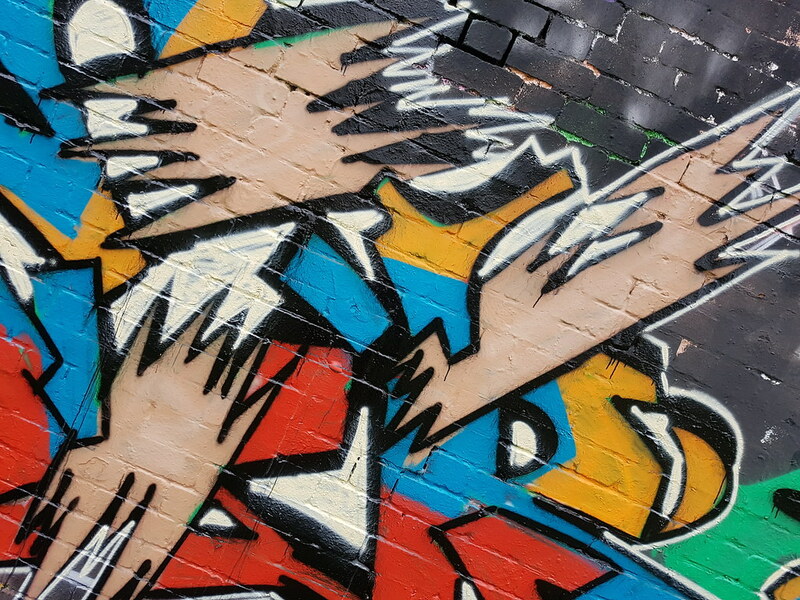 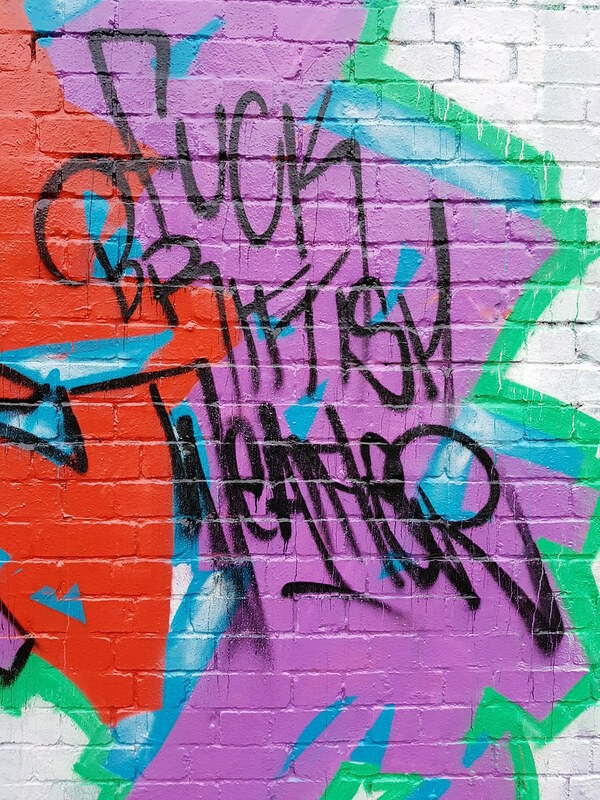 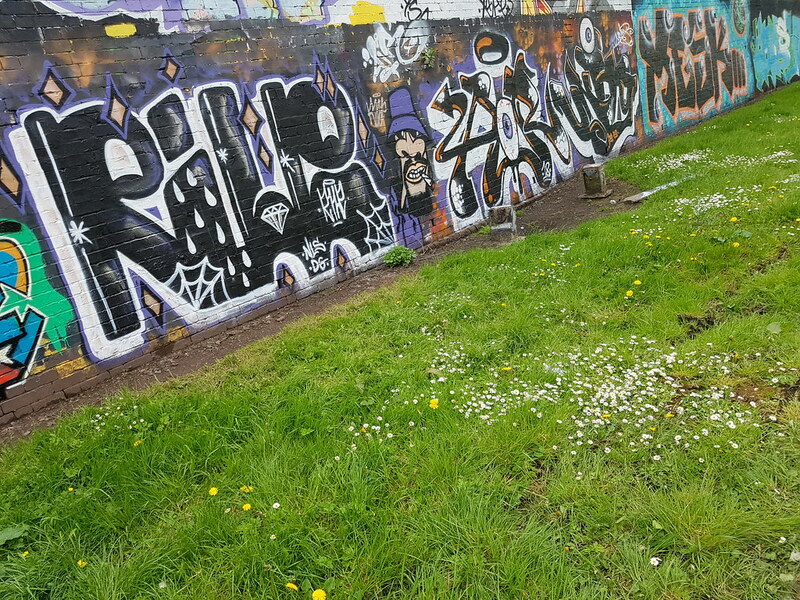 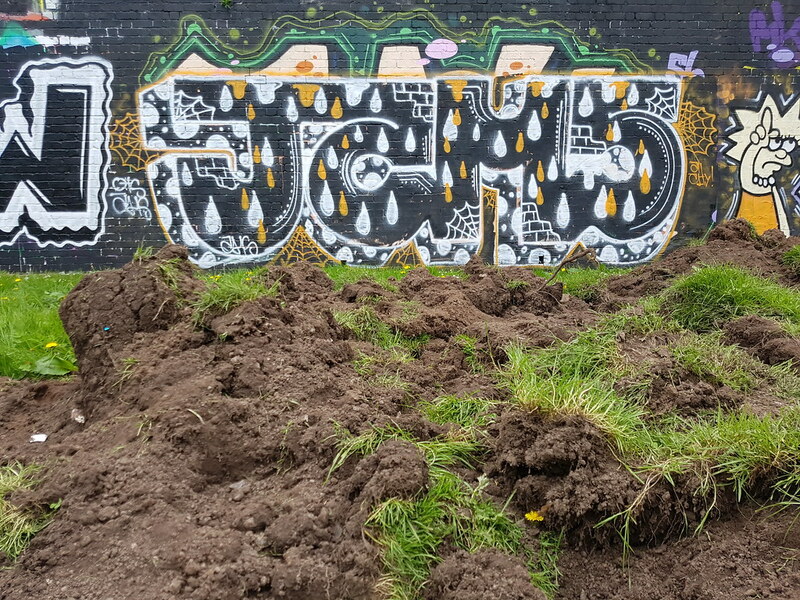 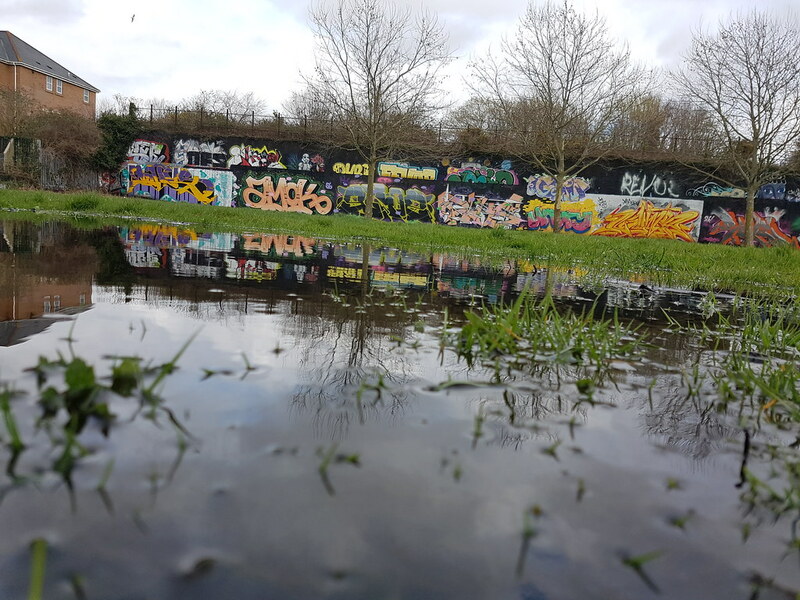 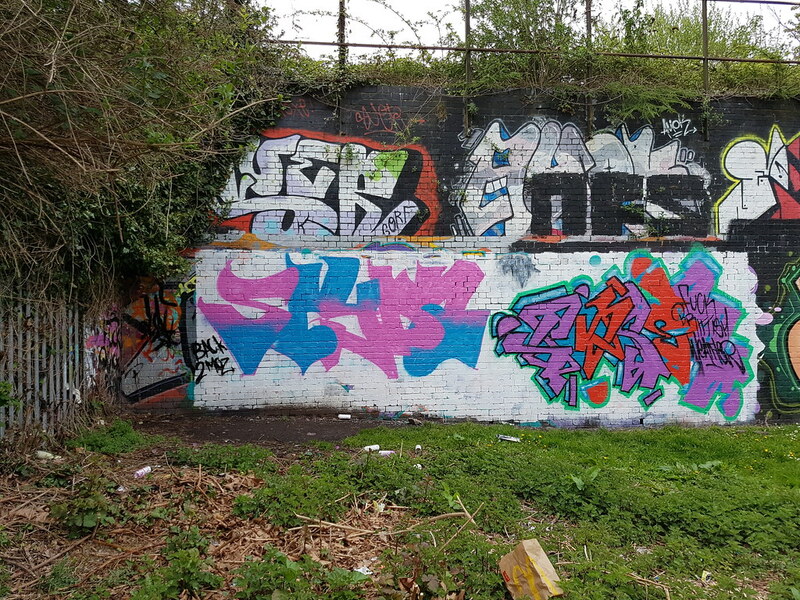 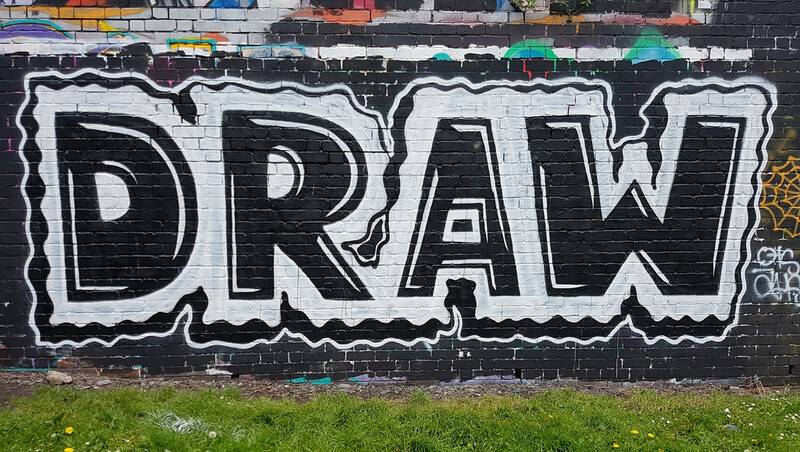 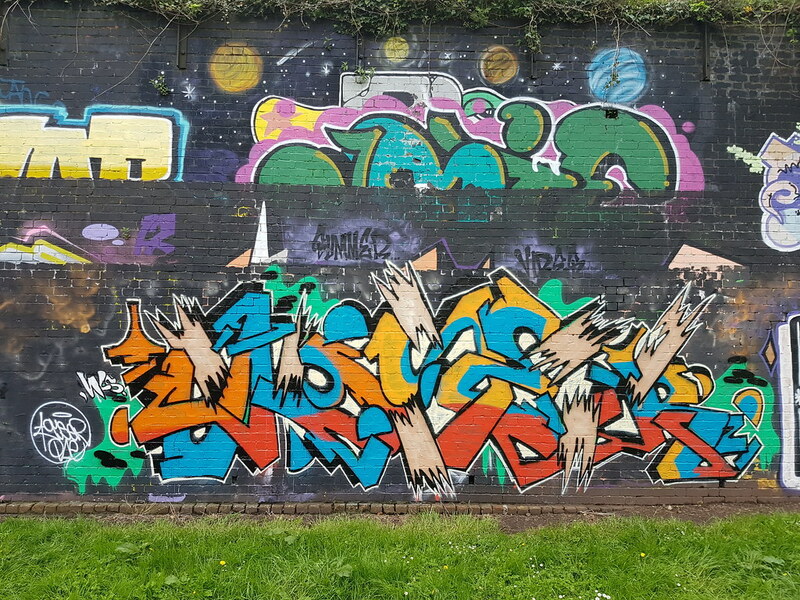 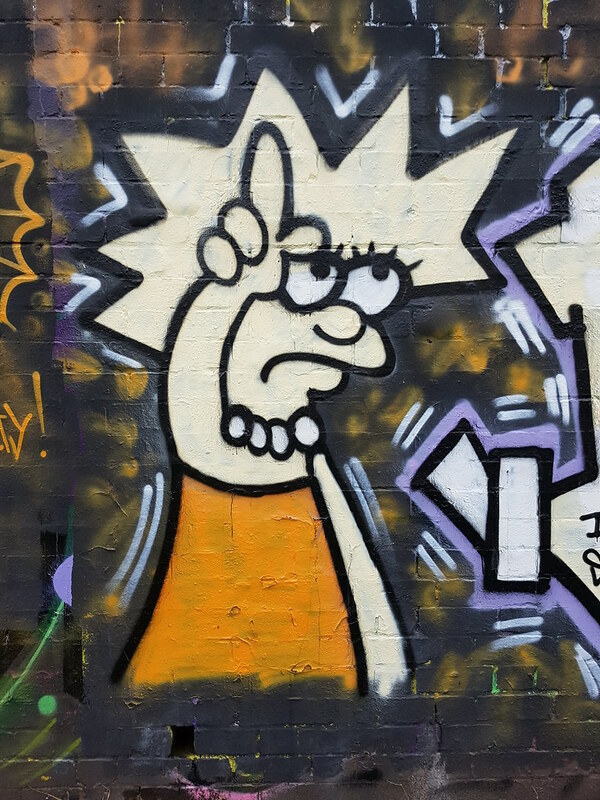 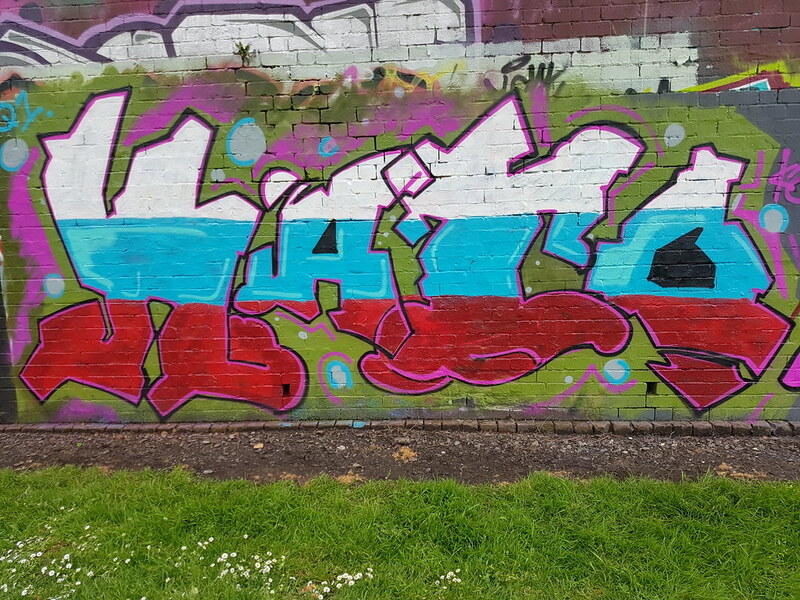 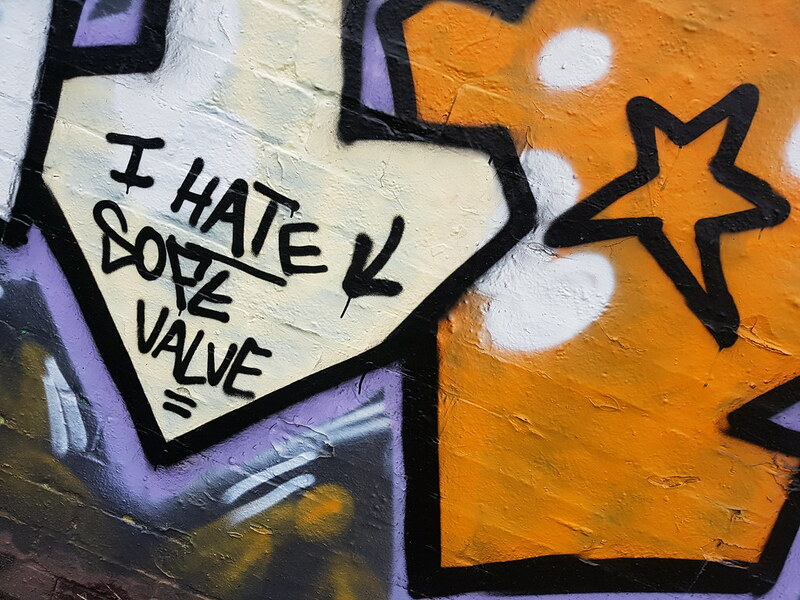 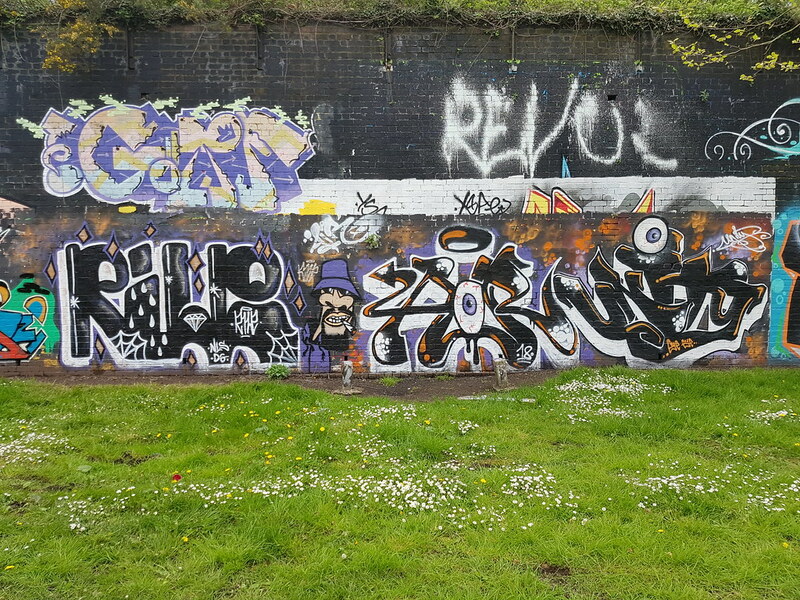 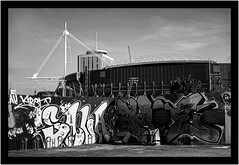 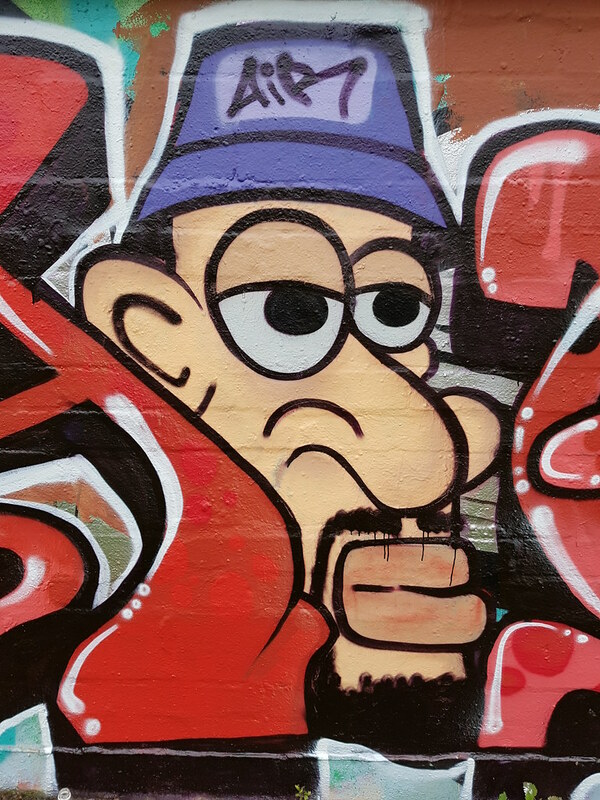 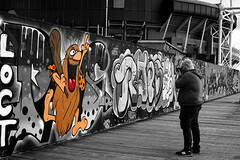 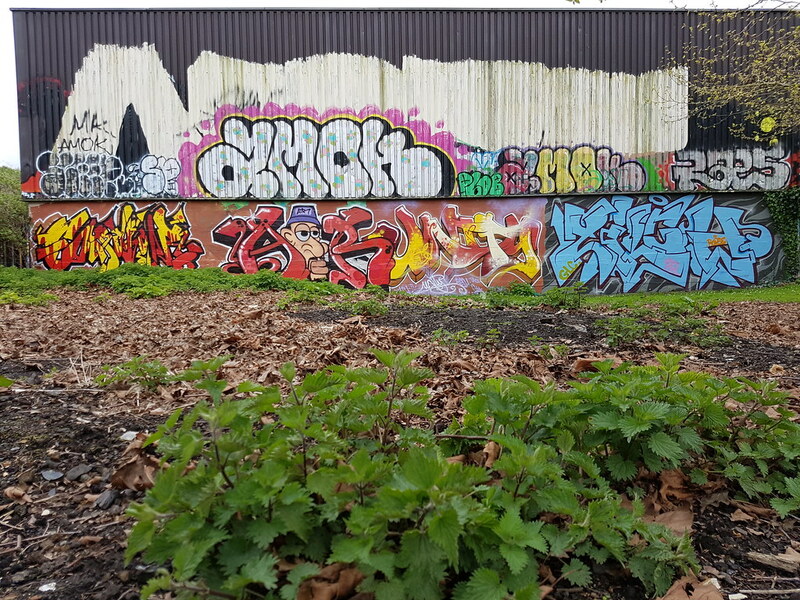 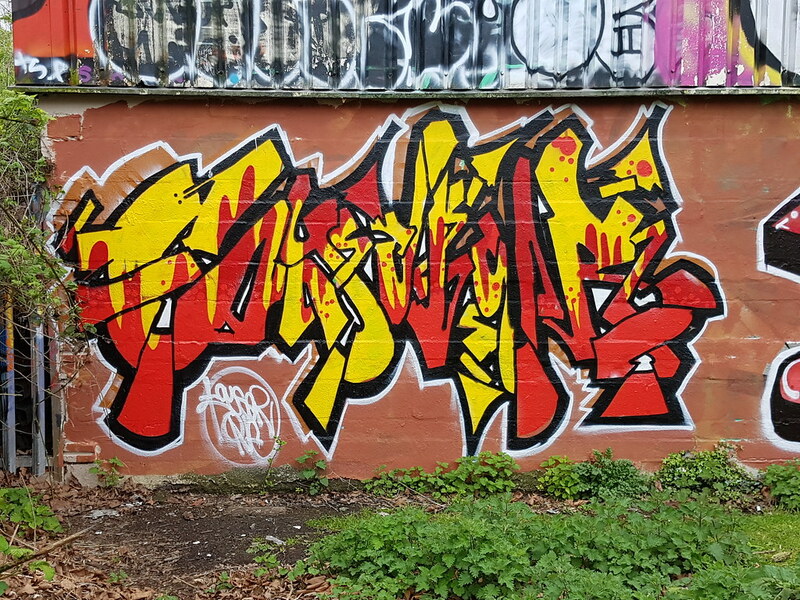 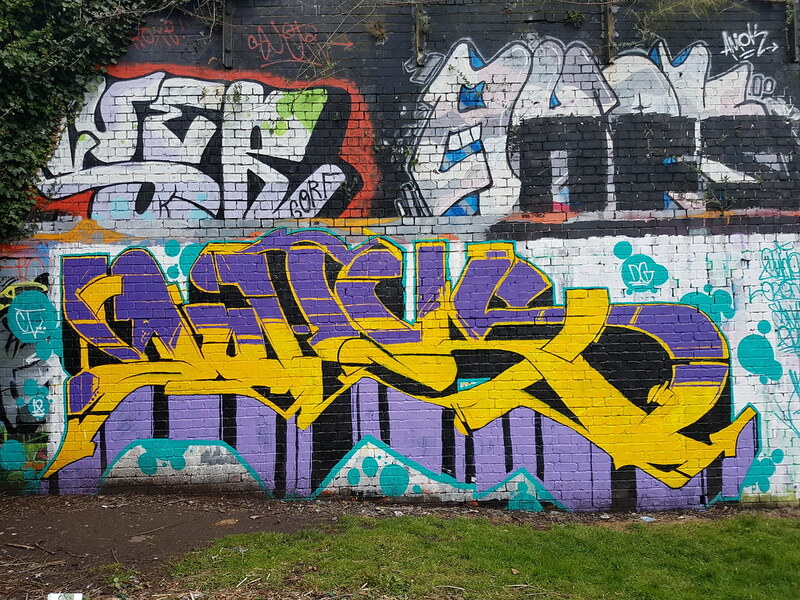 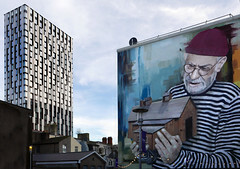 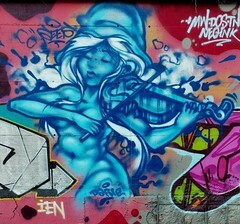 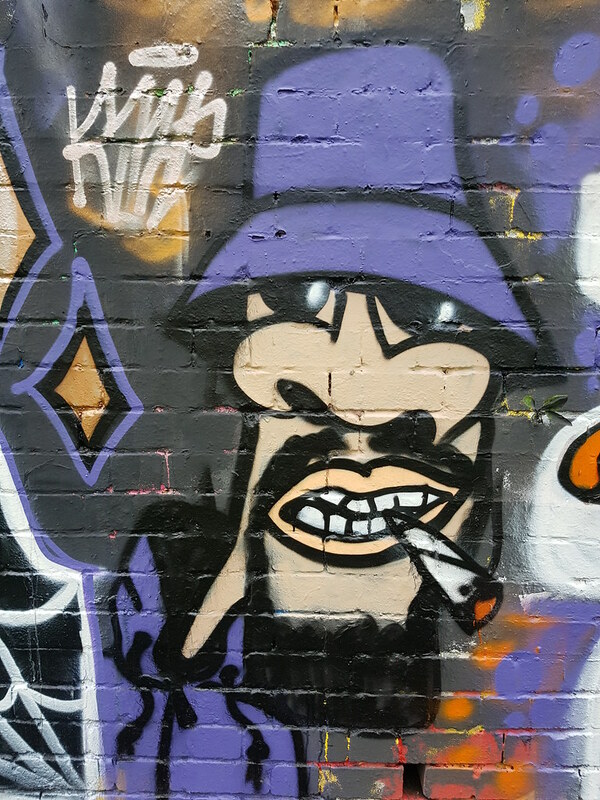 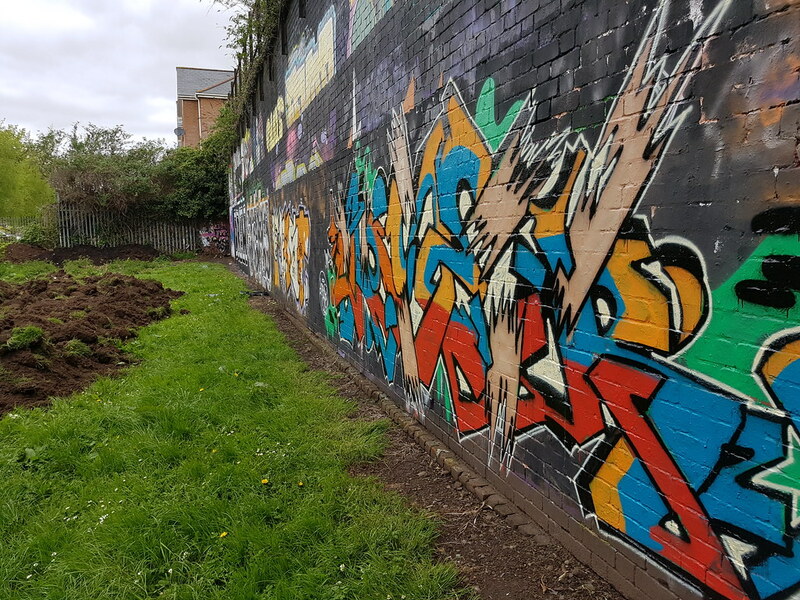 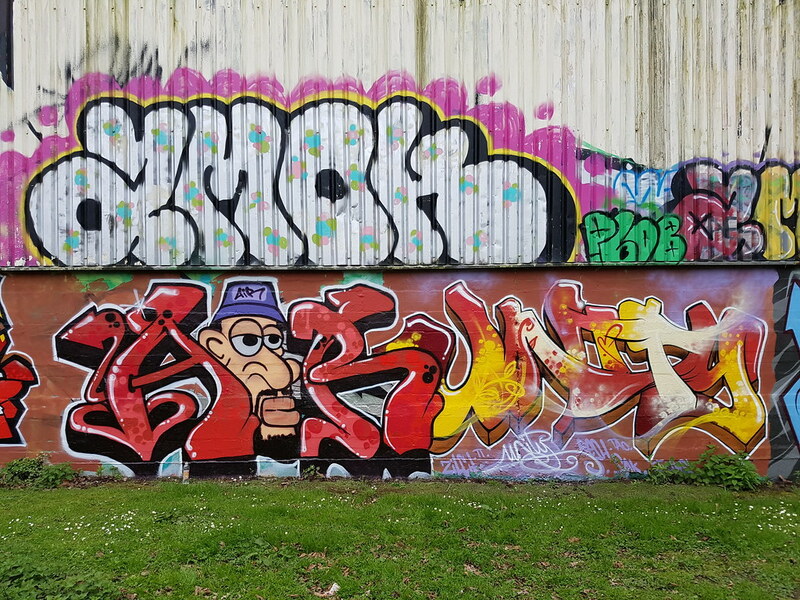 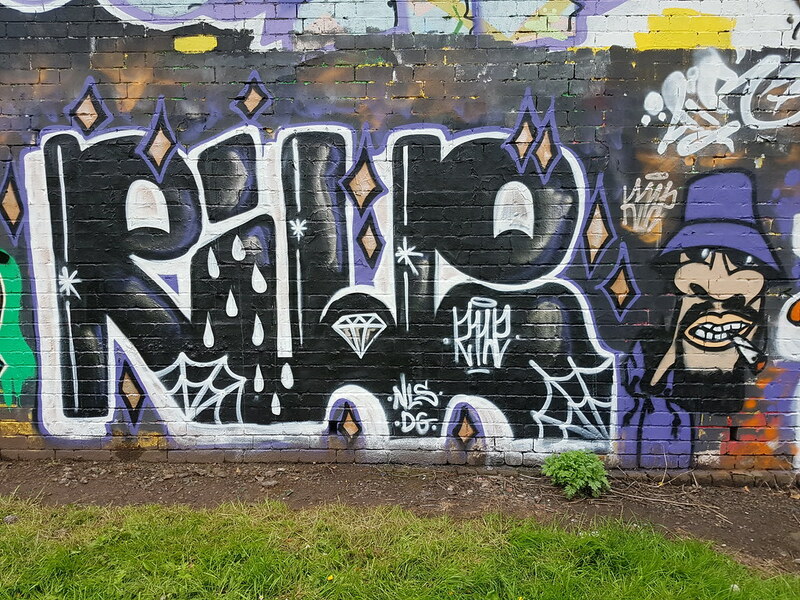 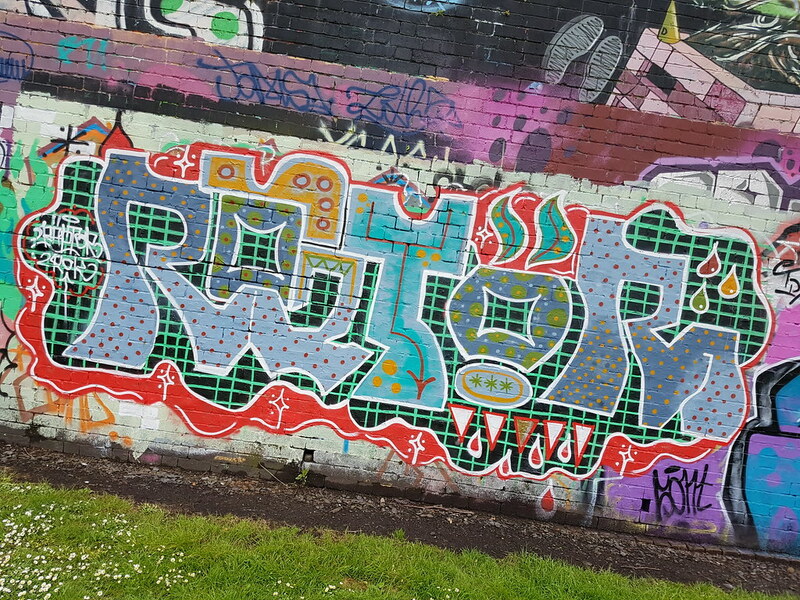 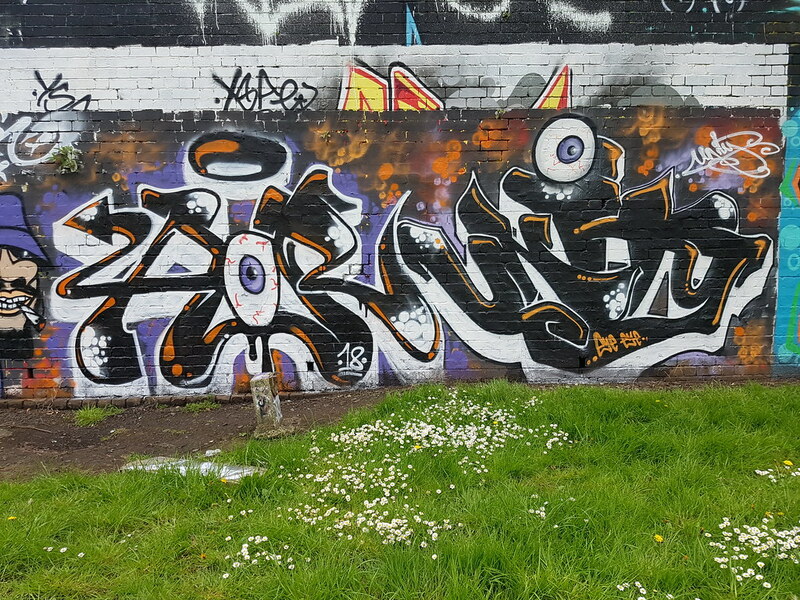 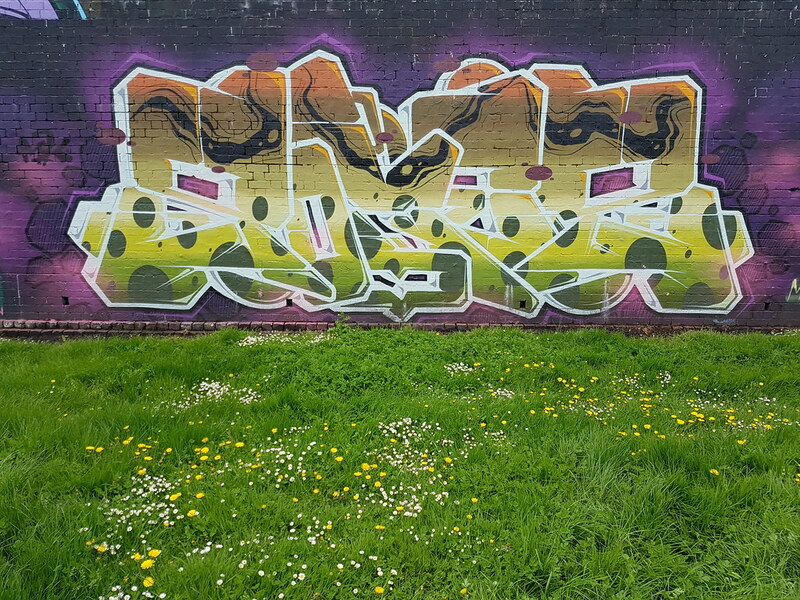 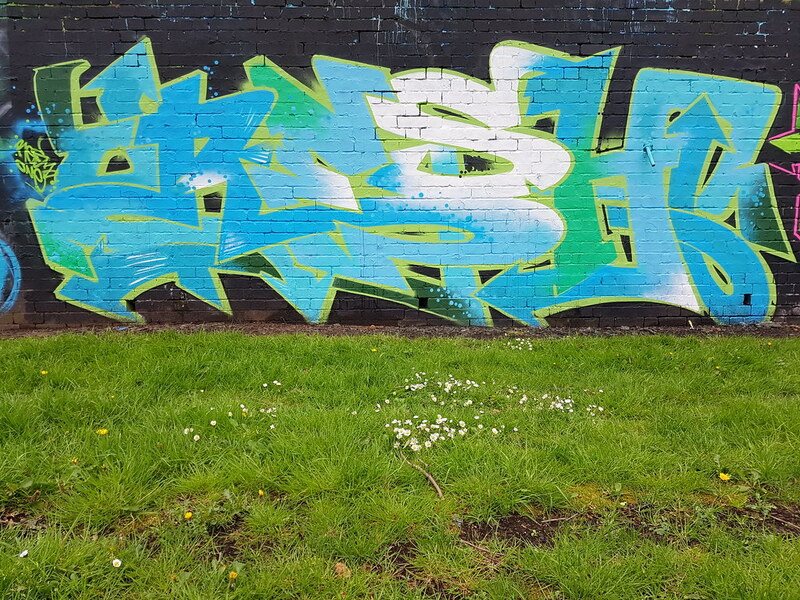 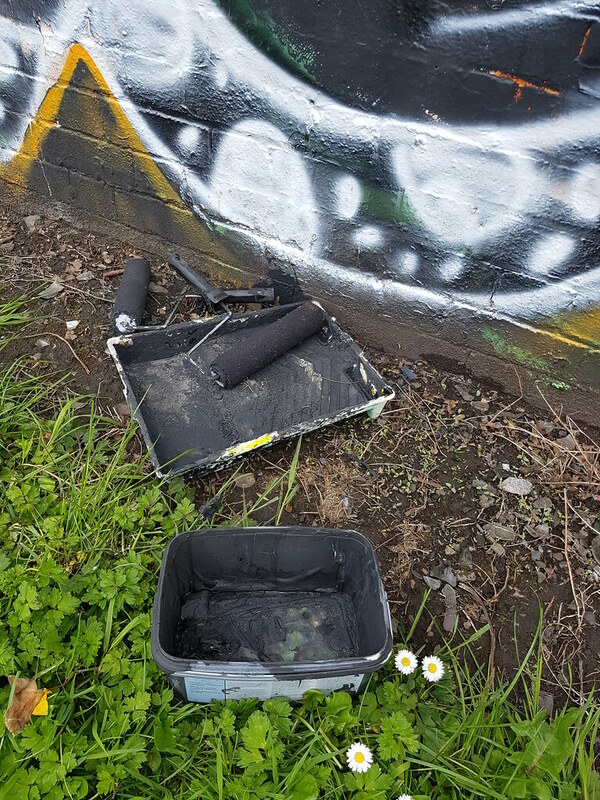 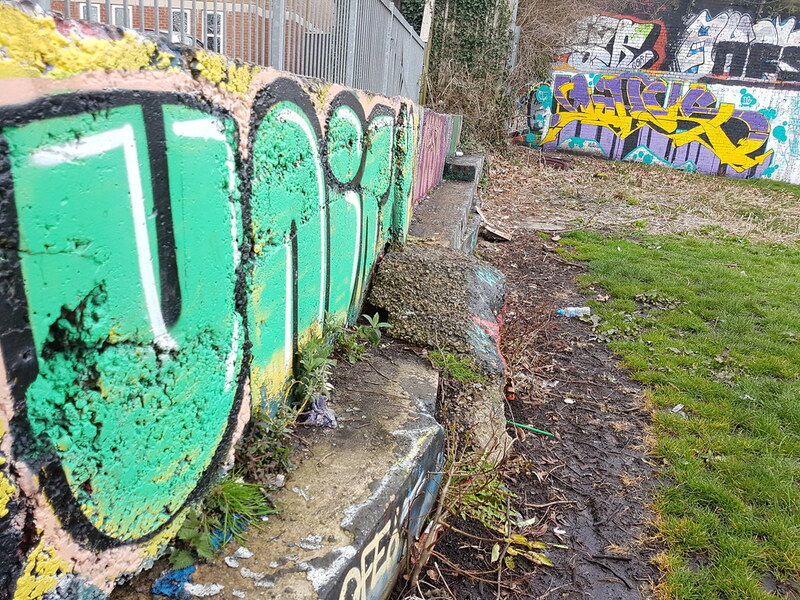 The longest legal graffiti wall in Cardiff is based at the city’s Sevenoaks Park and is continually updated on a weekly basis – regardless of the weather. 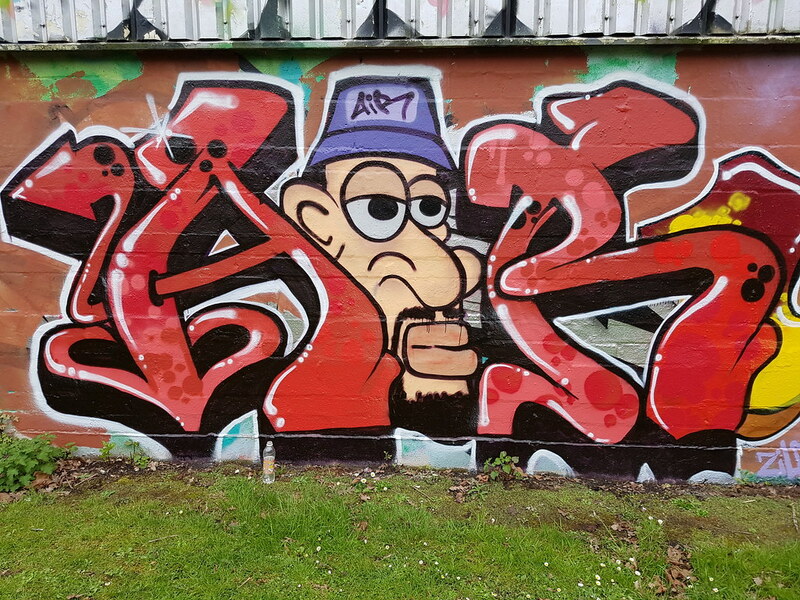 It attracts artists and writers from the local area and some from further afield too. 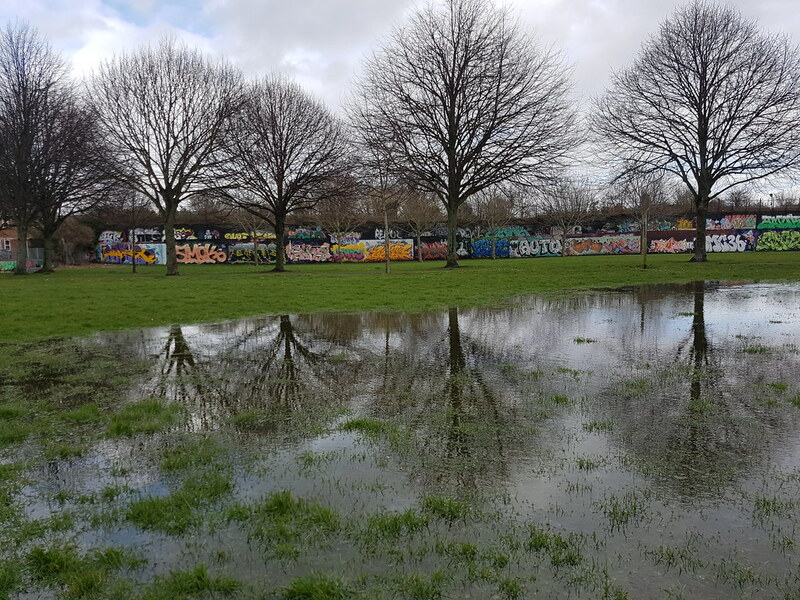 Back in April, after the recent deluge, regulars Unity and Amok are pictured amongst the waterlogged field. 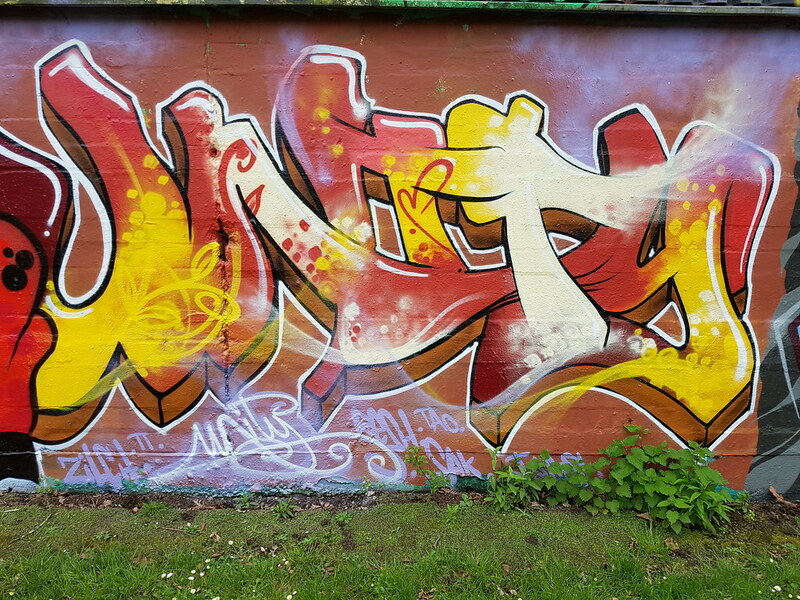 Whilst right at the other end of the wall Unity and Air (to name the ones I can decypher) have painted on the metal cladded structure. 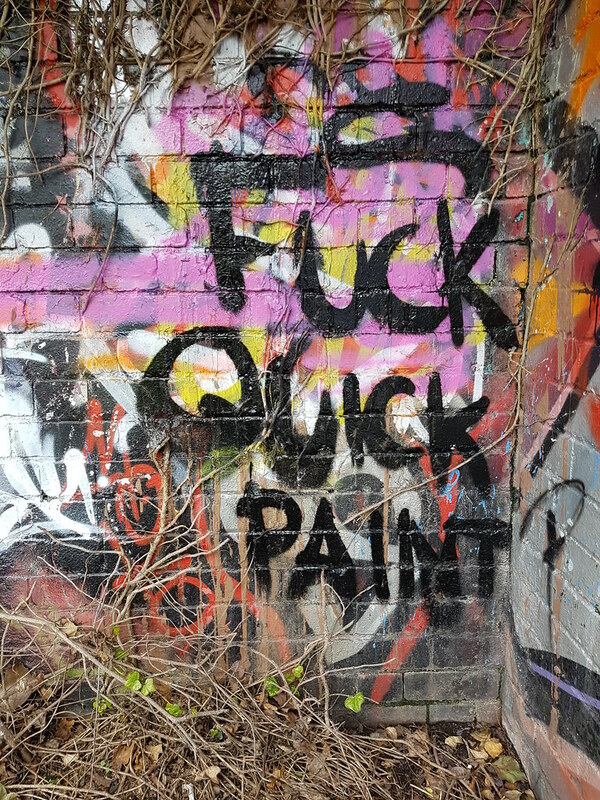 Get in touch if you can shed any light of some of the other writers. 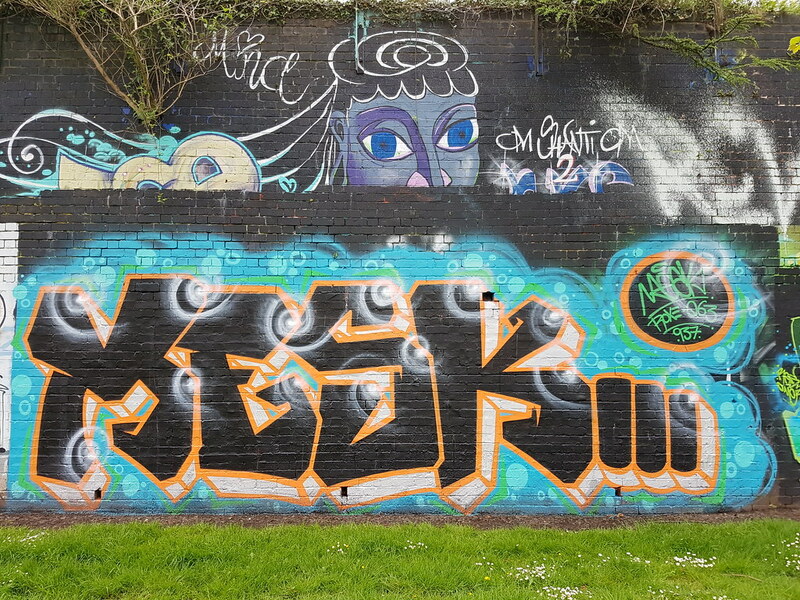 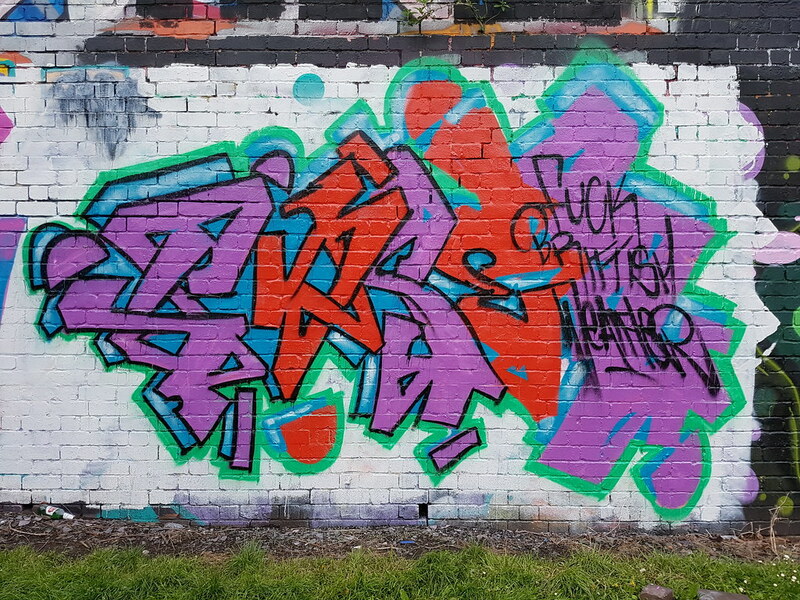 Back on the main long bricked wall which featured more work from the regular faithful including Resh, Sadsak, Rotor and Mesk. 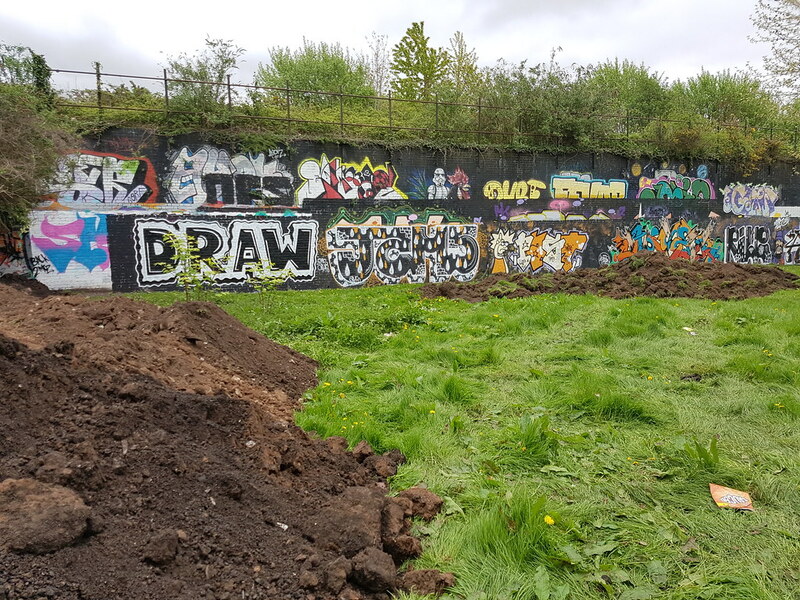 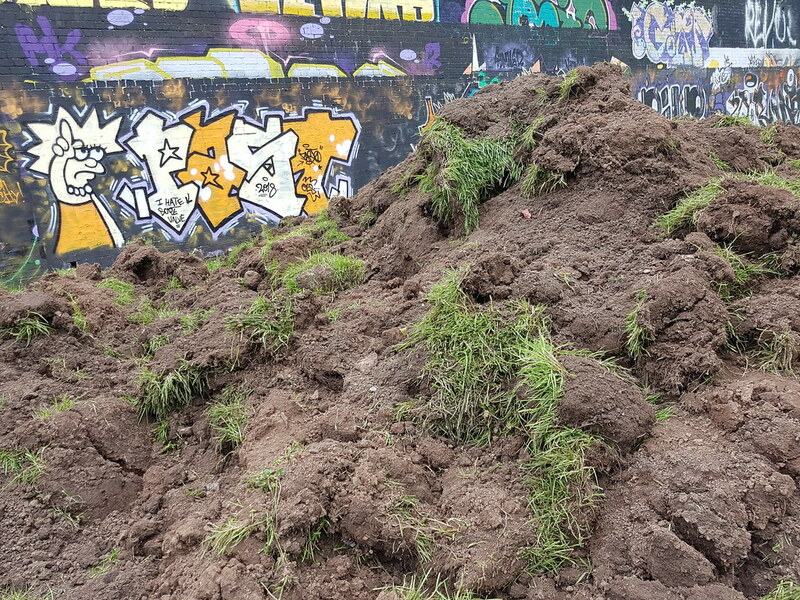 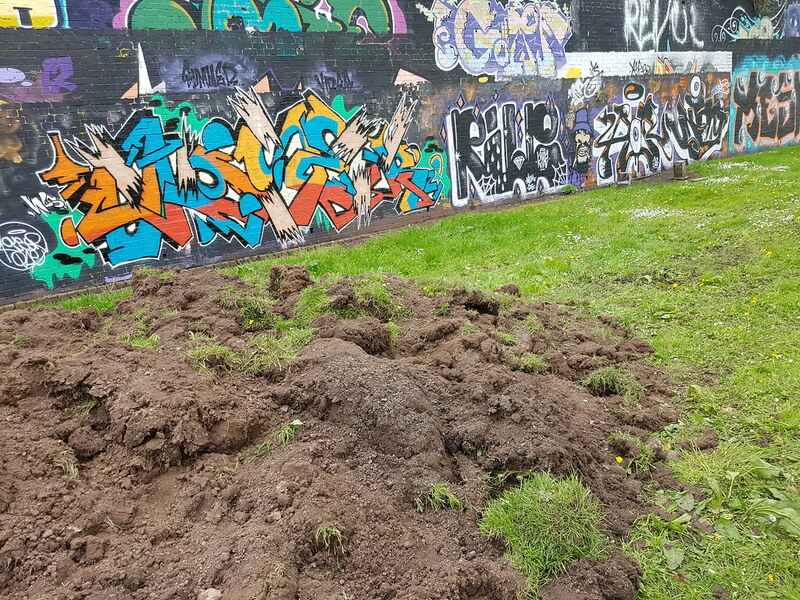 Moving onto May and more favourable weather resulted in a lot of new work appearing and along with some new construction work too – resulting in large mounds of earth being dumped infront of the infamous wall. 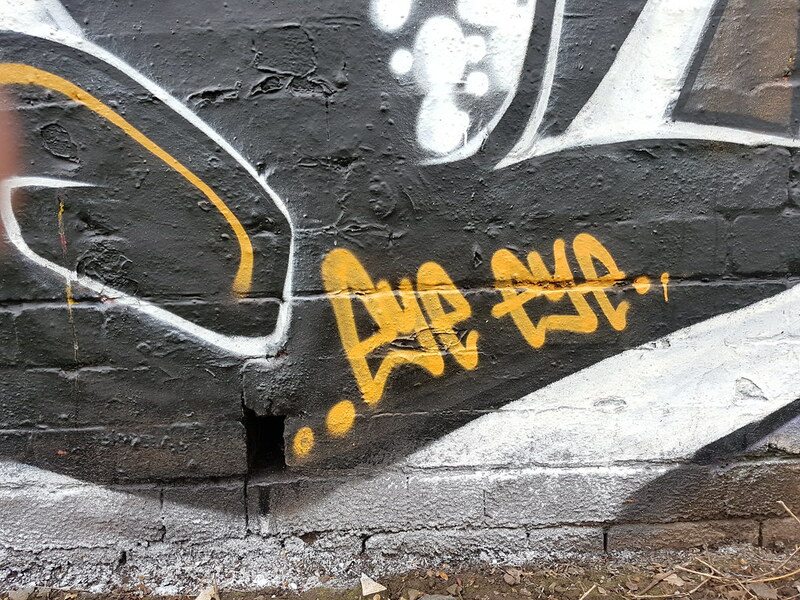 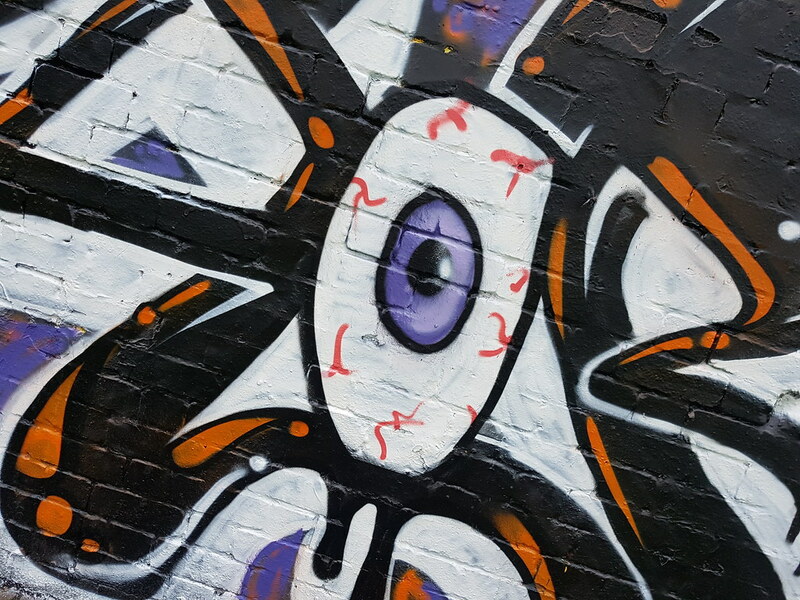 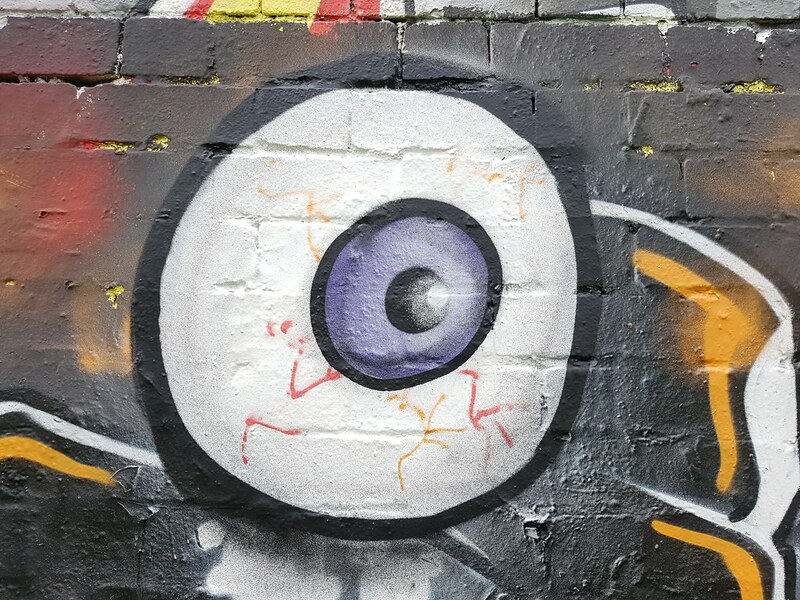 Moving further along the wall again with more work from Air, Unity and Rile all featuring a lot of eyeballs this time. 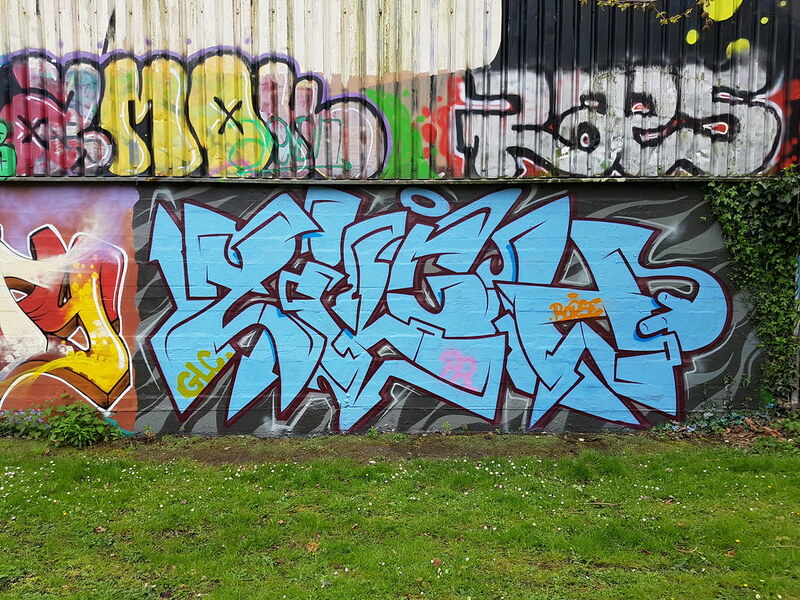 It’s great to see a lot of new names gracing the best painting space in Cardiff. 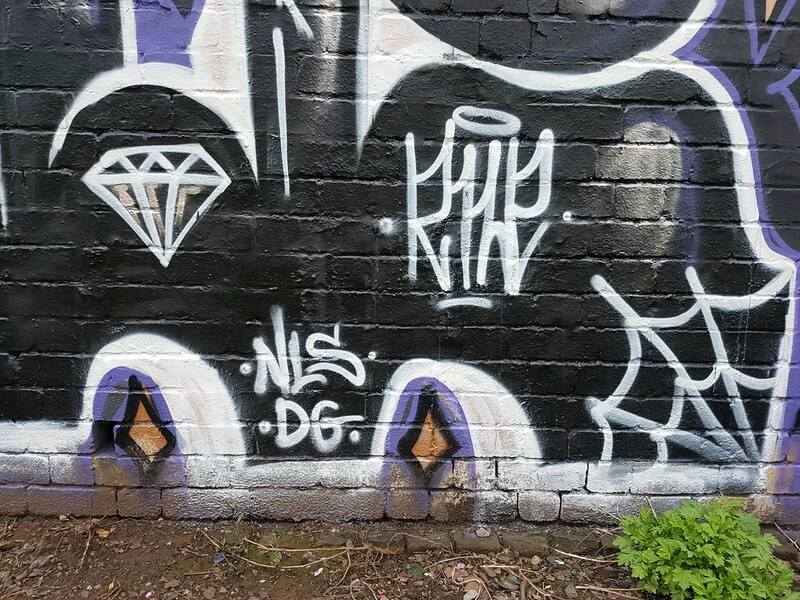 If you can decypher any of the names please get in contact.